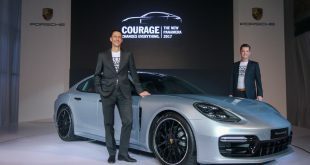 These days, the China market has turned to be the key market for most of all automakers including both the conventional and luxury segments. 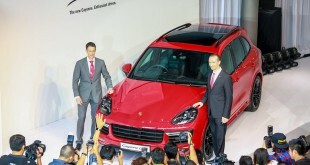 Porsche has just celebrating the world premiere of the new Cayenne GTS in Beijing at the Auto China 2012. Basically, the new Cayenne GTS is having a sportier drive, more powerful than Cayenne S, and enhanced chassis with lower ride height. The Cayenne GTS’s come with a uprated 420hp (309kW) V8 engine from Cayenne S. The V8 engine paired with a 8-speed Tiptronic S gearbox with integrated auto start/stop function. An especially dynamically tuned engine and transmission design reinforces the emphatically sporty characteristics, enabling short bursts of speed at any time. The Cayenne GTS sprints from a 0-100km/h in 5.7 seconds, reaching 160 km/h in 13.3 seconds. The top speed is 261 km/h and the NEDC fuel consumption 10.7 litres/100km. The specially tuned chassis ensures thrilling driving dynamics. It is more tautly tuned, equipped with Porsche Active Suspension Management (PASM) and lowers the body by 24 mm relative to the Cayenne S. As a result, the new Cayenne GTS is even closer to the road and moves with the sports car’s trademark composure and agility. The Cayenne GTS’s looks openly proclaim its pronounced sportiness with eye-catching features such as the front-end borrowed from the Cayenne Turbo, frames and trims in high-gloss black, prominent side skirts and wider wheel arches as well as a distinctive roof spoiler with twin-wing profile. The prevailing ambiance of the interior is sporty elegance, the GTS features a leather interior with Alcantara elements as standard. Front sports seats with eight adjustment options are also featured as standard in the new Cayenne GTS. However, there is no information whether how much it will cost after tax in Malaysia. 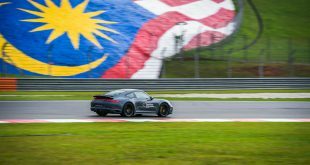 However, Sime Darby Auto Performance confirmed that this new Cayenne GTS will be launching in coming third-quarter of 2012 with a duty free price starting from RM425,000. Anyway, stay with us regularly for more updates on this!